380 HP. 428 lb.-ft of torque. 8 speed AT. 0-60 in 4.7 seconds. 200 MPH speedometer and 20 pistons of Monoblock braking goodness. Hybrid? First and foremost, the Panamera S Hybrid is a Porsche. That it also gets 30 MPG on the freeway is a nice bonus. 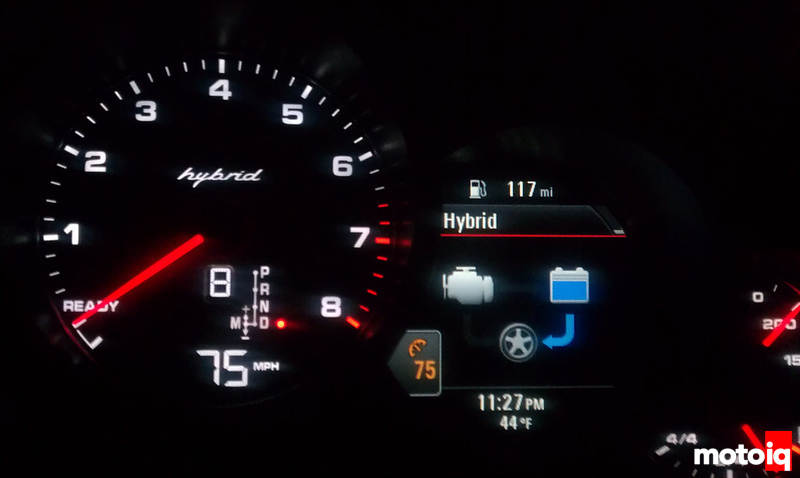 I was tasked with driving the break-in miles in the Panamera S Hybrid (hereto we’ll call it the PSH in the interest of bandwidth and carpel tunnel) for a company that cannot be mentioned. I know, it’s a tough job, but someone has to do it. Last time it was a Ford Fiesta, so go figure. I was able to log around 2,000 miles on So Cal and Nevada highways, through snow, wind and beautiful days. 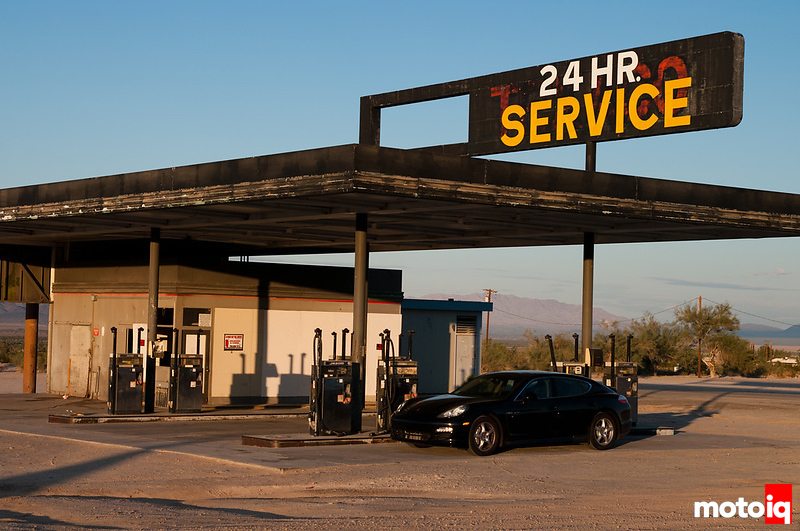 Over all, the PSH is an enjoyable car to drive and comfortable even for 5+ hours at a stretch. There were a things that amazed us, annoyed us and things I wish were different. Overall, it’s a pretty sweet ride. 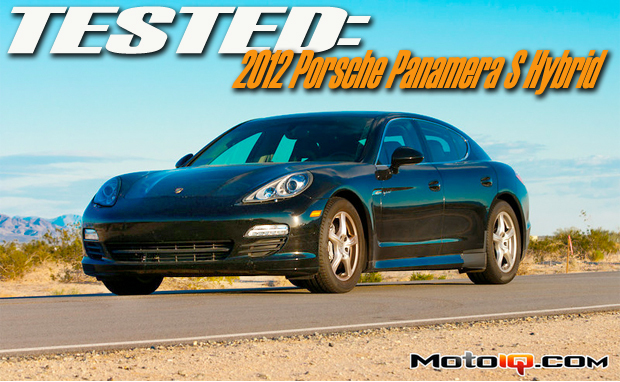 The PSH makes do with the smallest engine available in a Panamera. The 3.0 V6 puts out 333 HP 324 lb-ft torque, and coupled with the 47 HP electric motor, figures jump to 380 HP and 428 lb-ft of torque. Oddly enough the standard 3.6 V6 only puts out 300 HP. The PSH is also the only model with the 8 speed automatic transmission that can also be set and shifted manually. All other models are standard with the 7 speed PDK transmission. This car does gets up and goes like somebody kicked a cat. 60 MPH is found in second gear in about 5.7 seconds and it continues to pull from there to a Porsche claimed 167 MPH. 75 mph @ 0 rpms?!?! While it is a Hybrid, the electric motor is truly only capable of driving the car alone with a feather weight foot. You can putt through the neighborhood as silent as a mouse. Even on the freeway if it is dead level or slightly downhill, but the moment you dip just a little further the motor will kick on and take over. The 0-60 figures must have been made with the motor running at idle to start, because there is that split second at a light when the motor stops and has to kick back on to get you going. It is more noticeable at lower speeds, but absolutely seamless on the freeway. I found it sort of amusing to be driving 80 MPH with the engine not turning and the tach displaying “Ready”. There is even a display of the percentage of time in 5 minute blocks that the engine has been deactivated and in Ready mode. 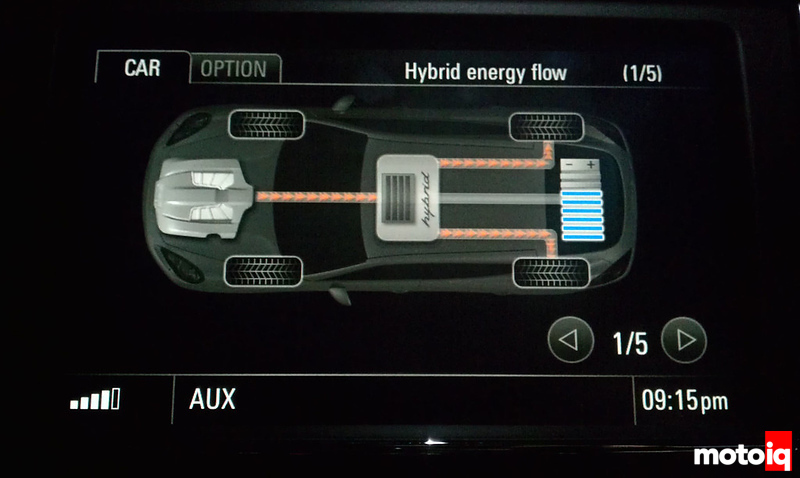 This car also features regenerative braking, common to most hybrids, to power the battery pack back up. 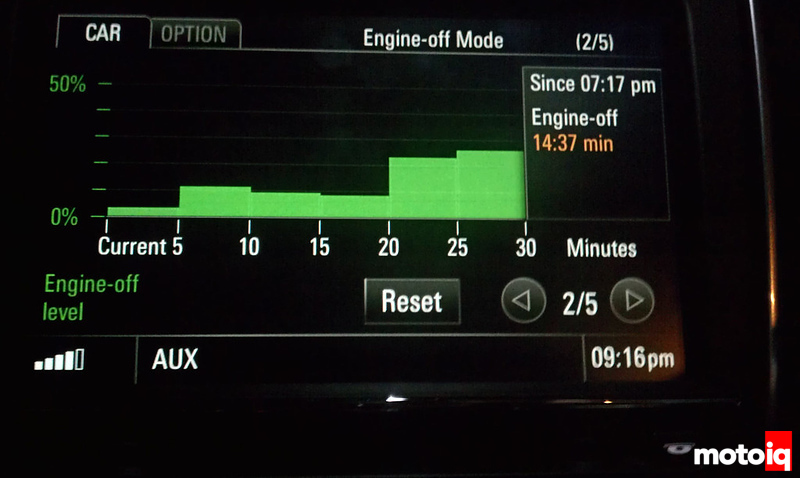 There is even a display of the percentage of time in 5 minute blocks that the engine has been deactivated and in Ready mode.